It can take time to get results from lobbying and advocacy efforts, but recent advocacy wins by TSIRC prove the value of keeping contact with our State and Federal politicians. 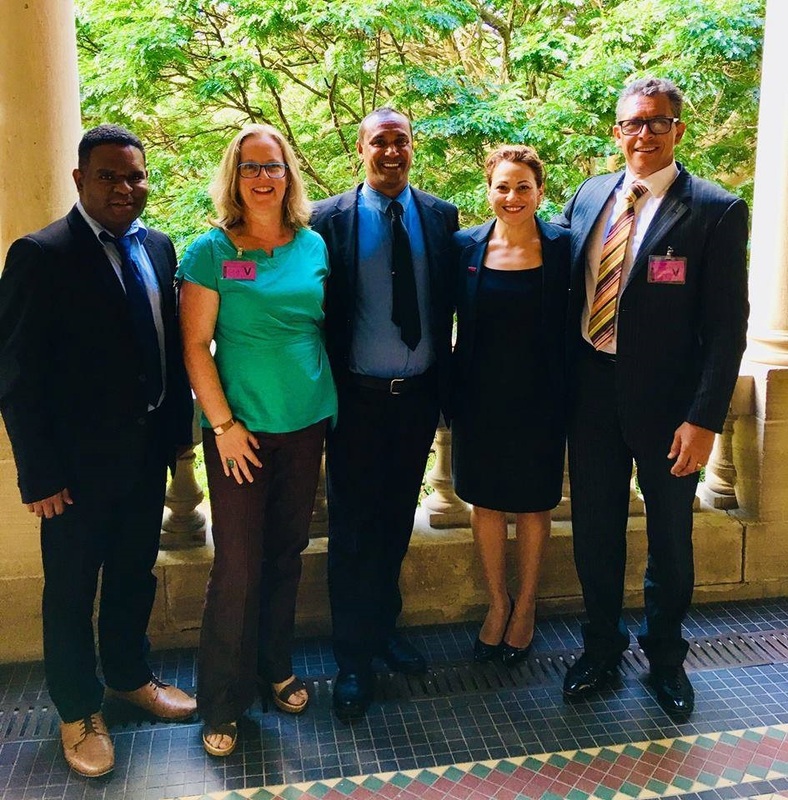 In late March, Mayor Gela, CEO Bruce Ranga and staff went to Parliament House in Brisbane to seek funding and policy outcomes for issues in our region. “We’ve really come a long way in the advocacy space, I can honestly say that we’re one of only a very, very few Indigenous Council’s that I can count using one hand that takes full advantage of elevating issues directly to Ministers at Parliament Sittings on a regular basis. This has been our point of difference and it has paid off, seeing Council accessing investments above and beyond what we normally would get in grant funding,” said Mayor Gela. The Minister for Housing informed us during our meeting that the State government has committed $1B investment in housing for 2018-2028, with majority of these funds going to maintenance and upgrades. Now this announcement is on the table it is easier to open dialogue with the Commonwealth to see if matching investment can be secured. It was also noted by Council that, whilst the State investment is in maintenance and upgrades is welcomed, there is still a strong need for the construction of new houses. The need for more newly constructed houses was clearly identified in a report commissioned by the Commonwealth, titled NPARIH review, which noted the need for 1100 new dwellings to be built across remote Indigenous Queensland communities. TSIRC is the largest Indigenous housing service provider in Queensland. We have all the data which demonstrates our needs, which we used to furnish this review. Without Bi – Partisan funding support between the State and Commonwealth the housing situation across the State let alone our region will get much, much worse. All the determinants of healthwhich directly correlate with health and wellbeing will be impacted. Mayor Gela lobbied several Ministers for an additional year to roll out the Indigenous Council Critical Infrastructure Program (ICCIP). The ICCIP provides remote Indigenous communities with $120M over 4 years, with $51M of these funds committed to TSIRC. This came about as a direct result of our deputations with the State and welcoming an independent State audit of our infrastructure needs so they recognised the real need in our region. ICCIP is funding essential upgrades, repairs and replacements to our critical infrastructure, with a big focus on water and wastewater services. and certified engineering plans completed for Iama, Warraber and Masig. Mayor Gela said “Our persistence in raising these critical issues with government is paying off and I am confident we are now close to a joint State/Federal government funding deal to secure Poruma and Boigu from the threats of climate change for medium term future." "Obtaining the certified engineering plans for Iama, Warraber and Masig will enable us to take the next step with these communities and get real cost indicators which can then be used for future funding negotiations with State and Federal governments." Federal recognition of the issues our communities face came recently in a $650,000 contribution from TSRA to fund 60 metres of geo textile sand bag wall as protection against coastal erosion on Poruma on the most impacted section of coastline. Conversation with Minister Lynham was very positive, Mayor Gela and CEO Bruce Ranga came away confident that we can negotiate financial and other supports from the Department of Natural Resources, Mines and Energy for a trial of a holistic tenure resolution process on one of our islands, with the hope of eventually being able to offer this process across all our communities. Regarding the recent meetings with Ministers, Mayor Gela said "This was a very positive series of meetings with State Ministers and I am feeling confident that we will see real outcomes on the ground as a result. We’ve forged a really strong working relationship with the Palaszczuk government and continuity within government has meant that we can continue moving forward without having to press the restart button, educating policy and decision makers all over again."